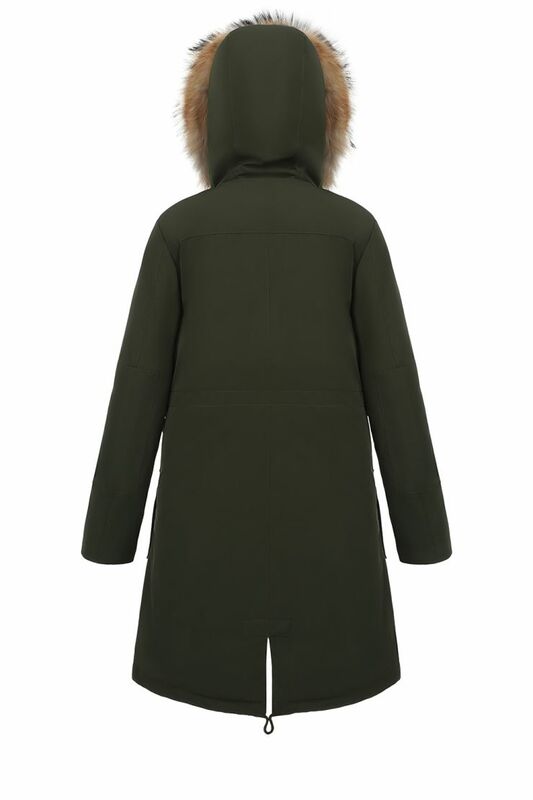 Hetregó Nansen military green fur-trimmed down parka is the essential outerwear piece you can dress up or down this winter. 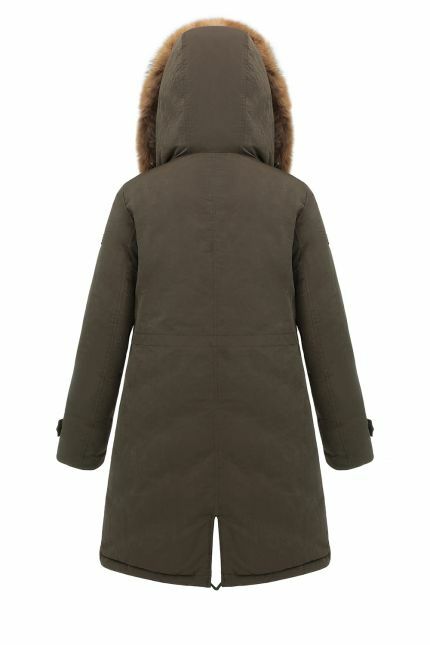 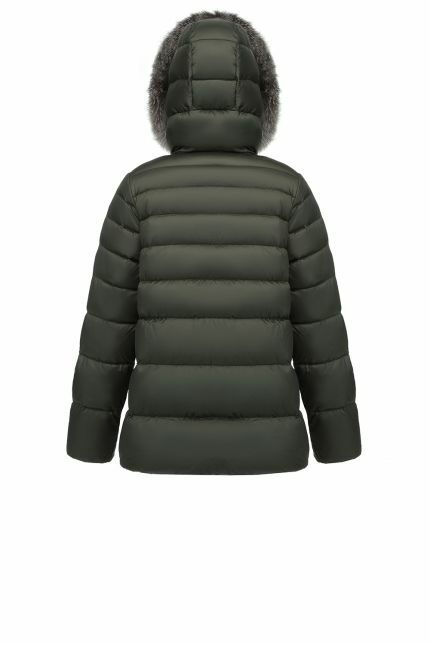 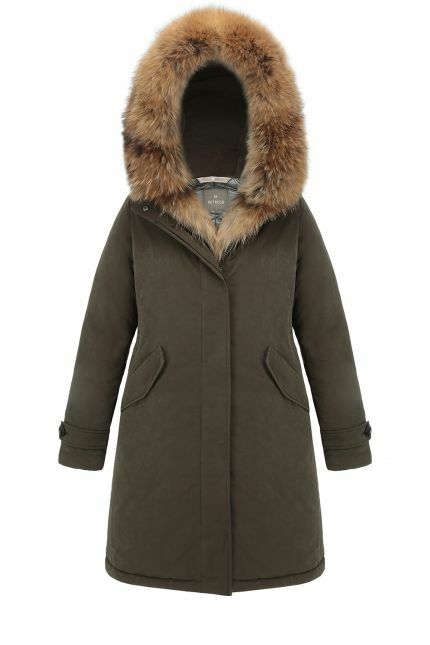 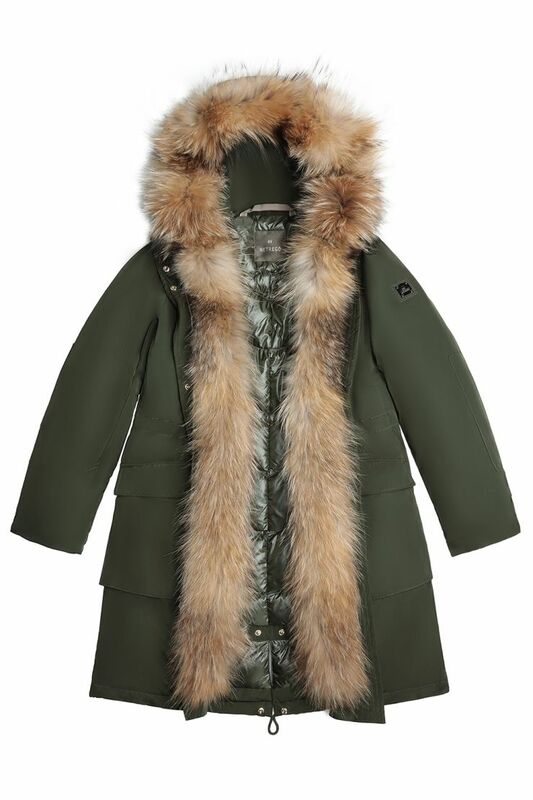 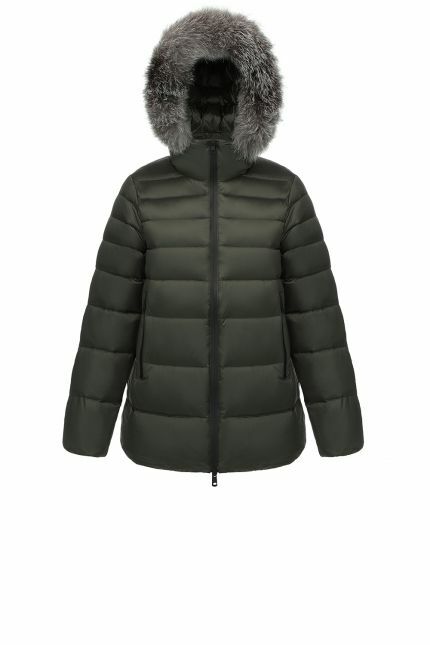 This luxurious coat features a natural raccoon fur trim: enjoy the protection of hooded fur trim against airflows and cold; close the central two-way zipper to feel the softness and the warmth of the fur or add an elegant touch to your parka showing it off. 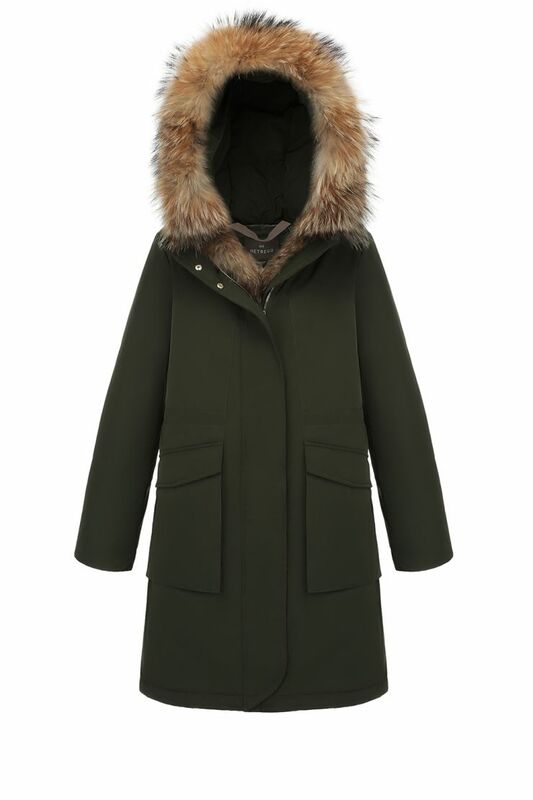 If you wish the remove the fur along the front closure and keep the fur on hood, you can easily detach it. 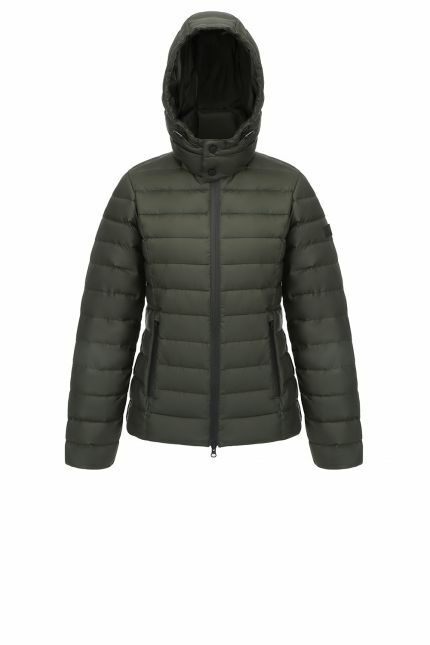 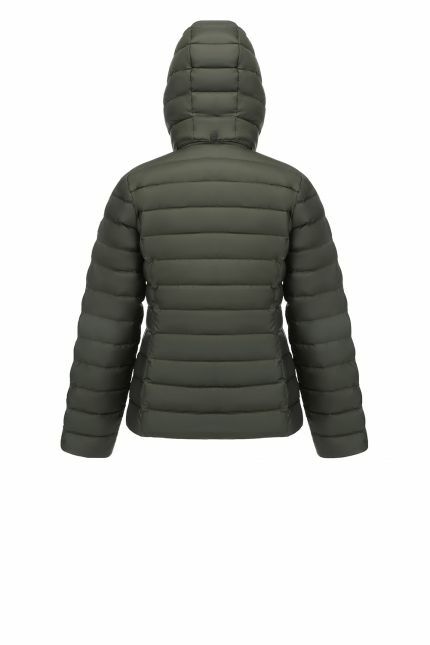 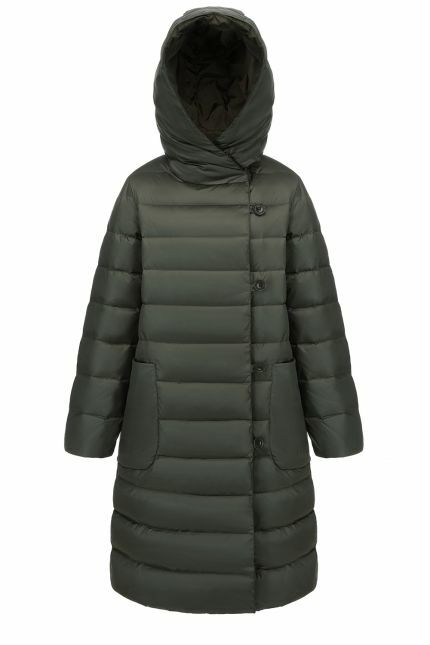 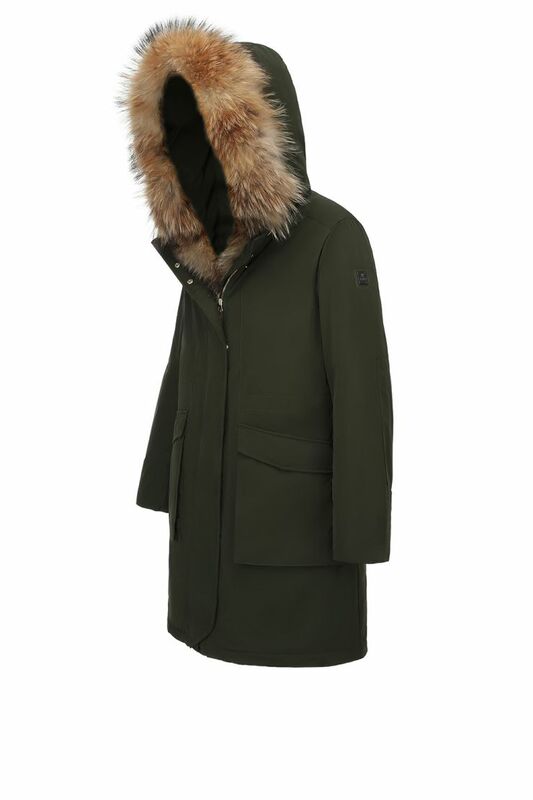 This style is windproof and water repellent and has a military green laqué padded lining.